Wick Session #12 will host a conversation with Johannesburg based [IN]FORMAL STUDIO (IS), a collaborative platform based in Johannesburg. It pools resources and skills through in-situ teaching, research and actual projects located in complex urban conditions. Through forming partnerships with residents, NGOs, the city, universities and other professionals, Johannesburg, as one of the most unequal cities in the world, is explored as a productive test-bed in which the practice of architecture and urban design can be re-directed to support and lend agency to people-driven development. IS also hosts and organises local and international exchanges around the theme of participative planning and action research. Thorsten Deckler and Eric Charles Wright will introduce the INFORMAL STUDIO followed by short presentations from Alex Warnock Smith who will introduce the Informal City Research Cluster at the Architectural Association and Andreas Lang from public works who will give a brief introduction to the R-urban Wick Re-use Centre which is currently taking shape in Hackney Wick. 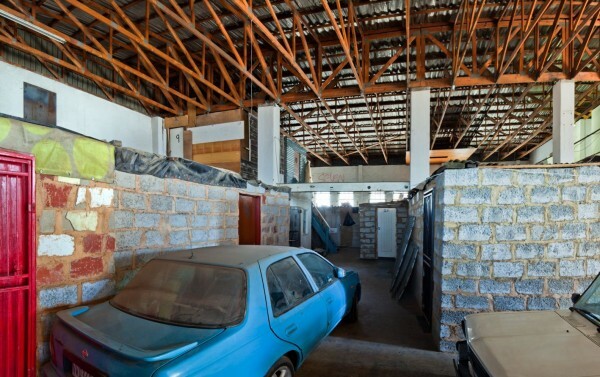 Thorsten Deckler and Eric Charles Wright will introduce the informal Studio (IS) and talk about the changing role of architecture in the context of a historic shift taking place in thinking about housing in South Africa. Precipitated by the realisation that the backlog of 2.3 million state-subsidised houses will not be met, this shift is making itself felt on the ground, through the mobilisation of communities, as well as the state’s expressed goal of upgrading informal settlements at scale. Within this context the [IN]FORMAL STUDIO has developed an in-situ university course in which residents, students, teachers and city officials are being brought together through a collaborative framework of engagement guided by an alliance of grass roots community networks and NGOs. Alex Warnock-Smith, from Urban Projects Bureau, will introduce the aims and ambitions of the Design and the Informal City research cluster that he runs with Elena Pascolo and Jorge Fiori at the Architectural Association (AA). Alex will discuss different approaches to the productive potential of informality through design at different scales, drawing upon research conducted by the cluster and graduate students in the AA Housing and Urbanism programme. Andreas Lang from public works will introduce R-urban Wick a mobile reuse centre currently evolving in Hackney Wick. R-urban Wick is a roaming workshop based on a repurposed Milk Float which explores and promotes culures and practices of re-use. R-urban wick is part of a wider netowrk of projects to enhance the capacity of urban resilience by introducing a network of resident-run facilities in Hackney Wick and Colombes, France. R-urban aims to initiate locally closed ecological cycles that will support the emergence of alternative models of living, producing and consuming.